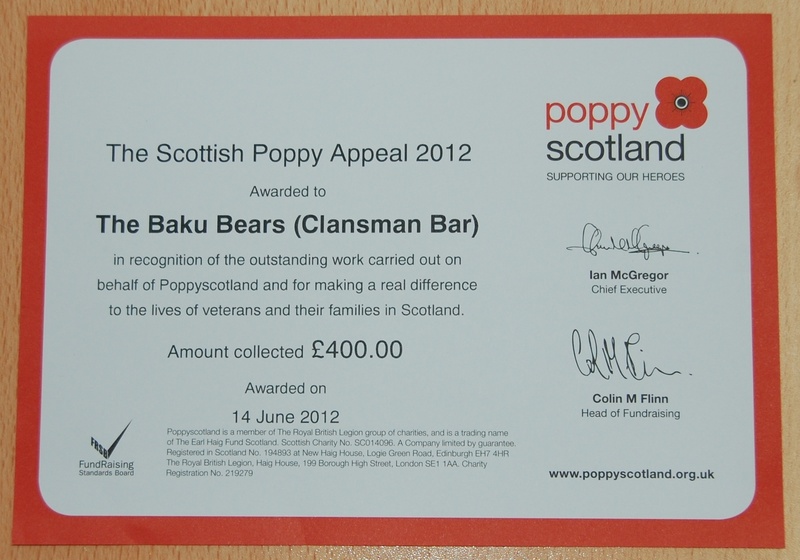 On behalf of our President and the Directors of Poppyscotland may I thank you and all the Baku Bears most sincerely for the very generous donation of £800 to the Scottish Poppy Appeal. As you will probably know, John Lunn, the Chairman of The Royal British Legion Scotland Inverness Branch informed me of your fundraising, hence my letter to you. 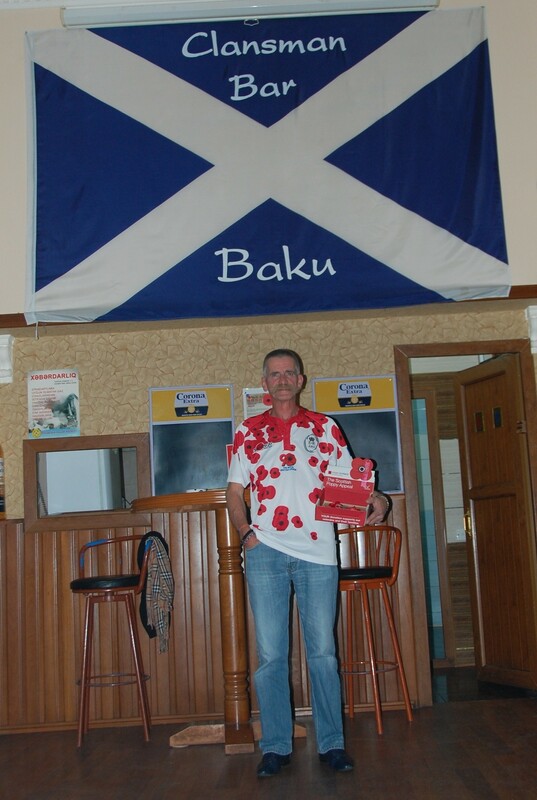 Poppyscotland is very grateful for your support, particularly as we are seeing a significant increase in the demand for our welfare services as a result of the recent conflicts in Iraq and Afghanistan. In addition we are seeking to undertake a number of new initiatives this and next year and the donation will make a very positive contribution to these. It is clear that there continues to be significant unmet need amongst the veterans’ community in Scotland and as a result the demand for Poppyscotland to raise ever increasing funds is significant. 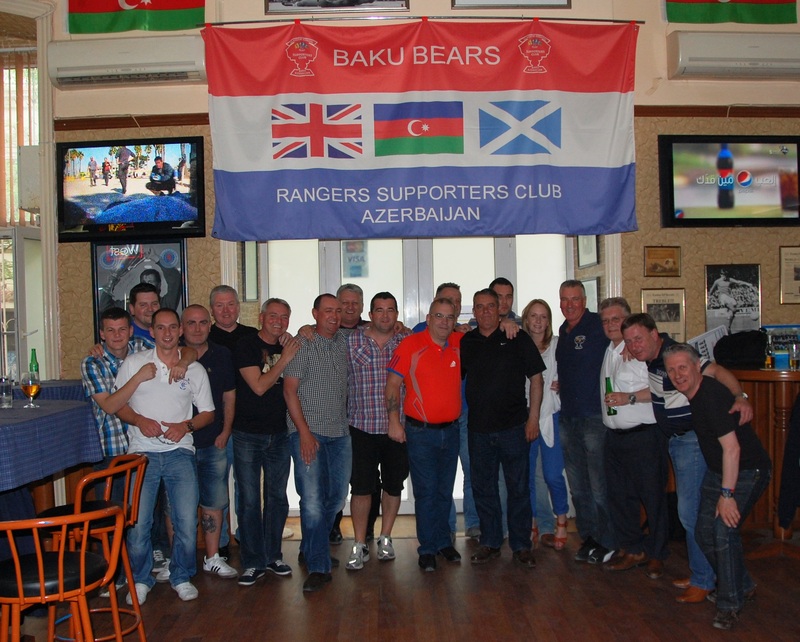 The generous support of the Baku Bears and I believe local Azerbaijani’s helps us to continue our vital work. Many thanks once again and please do not hesitate to contact me if you need any further information.